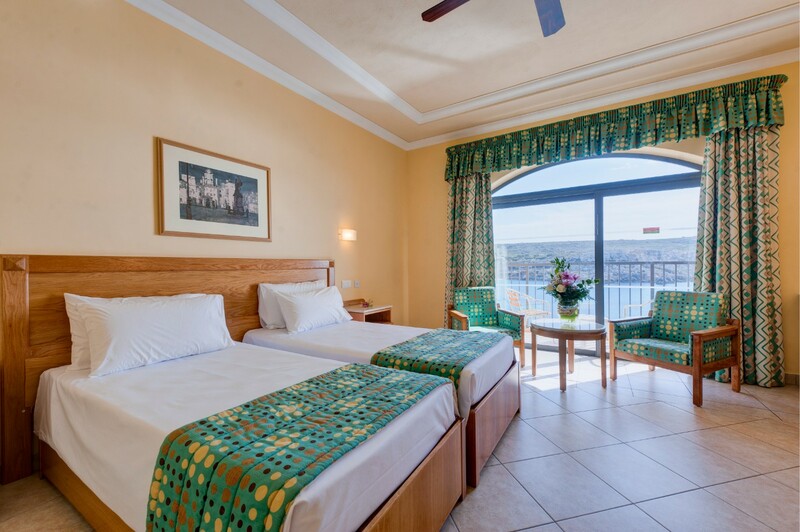 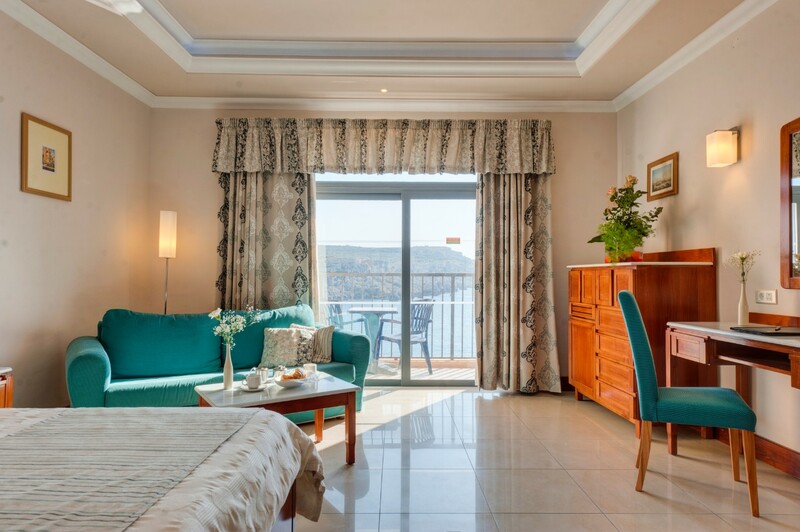 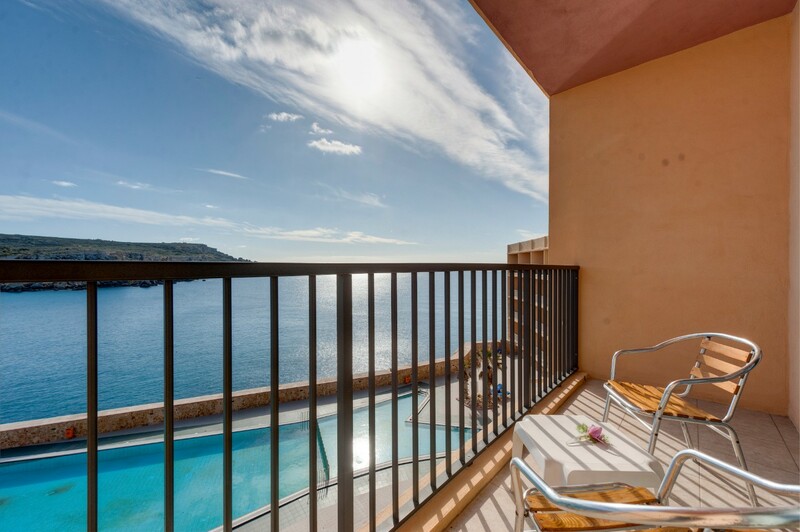 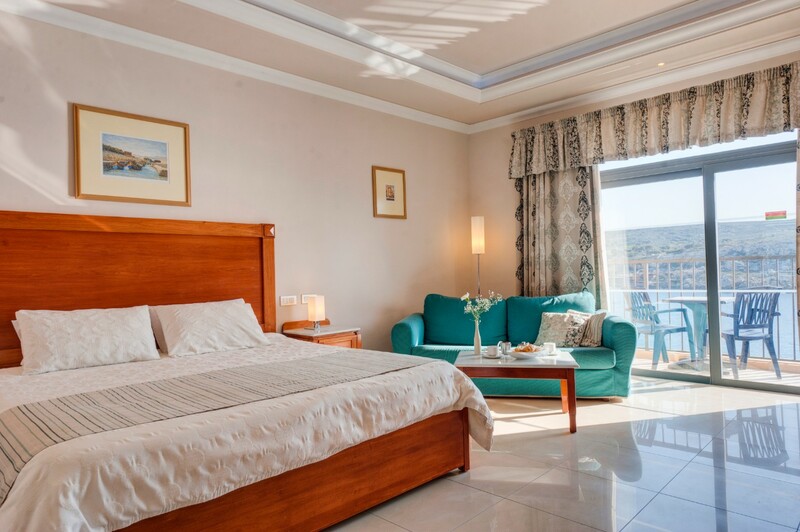 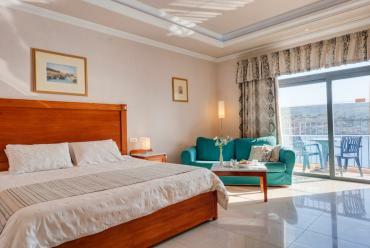 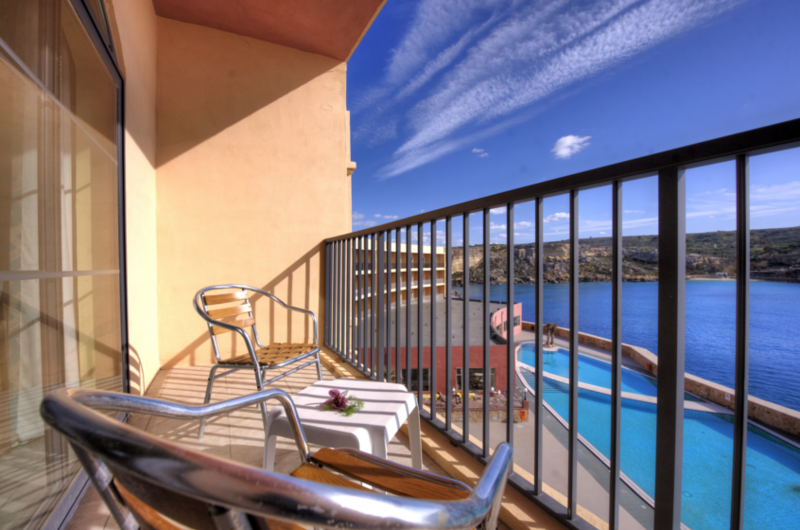 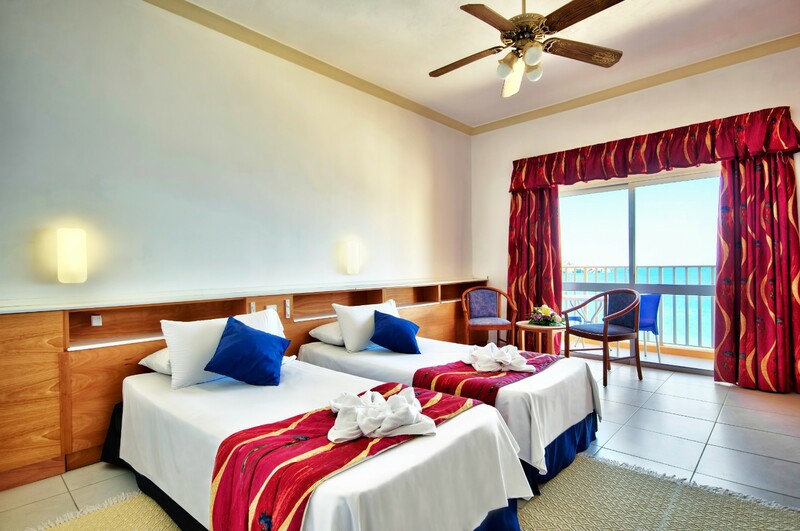 Extra spacious, bright and southernly facing, these rooms boast a balcony with views of Paradise Bay itself as well as the horizon of the Mediterranean Sea with only the hotel’s swimming pools in between. 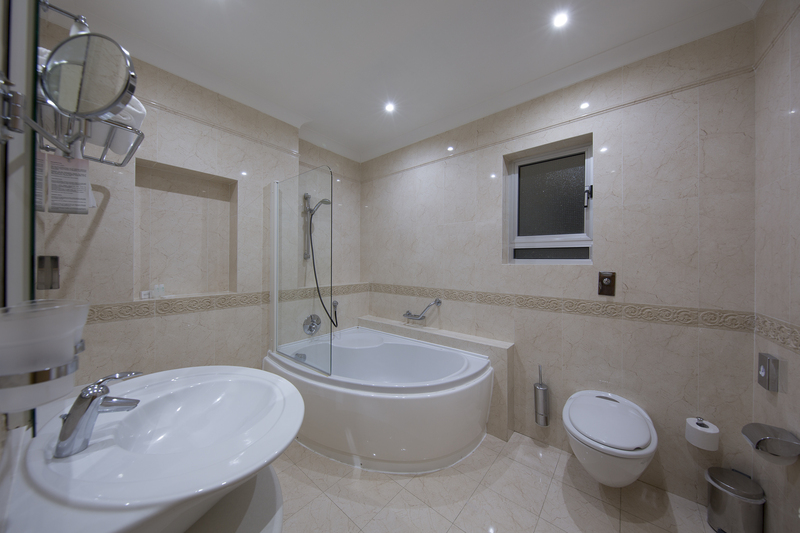 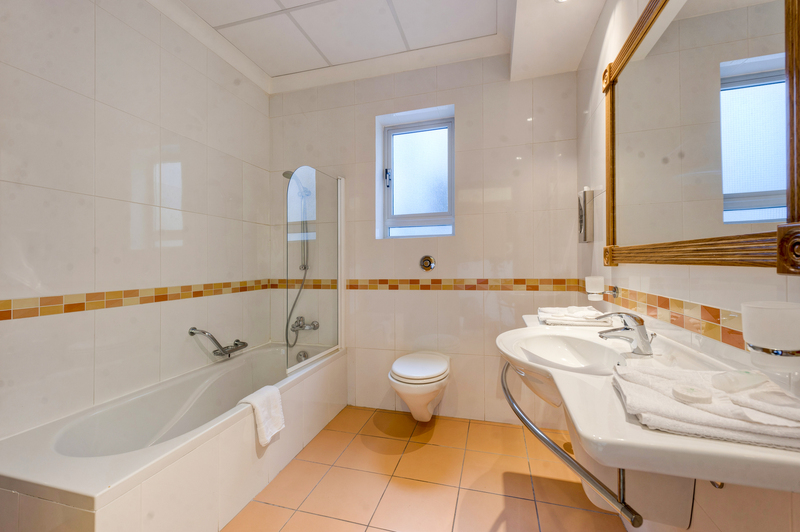 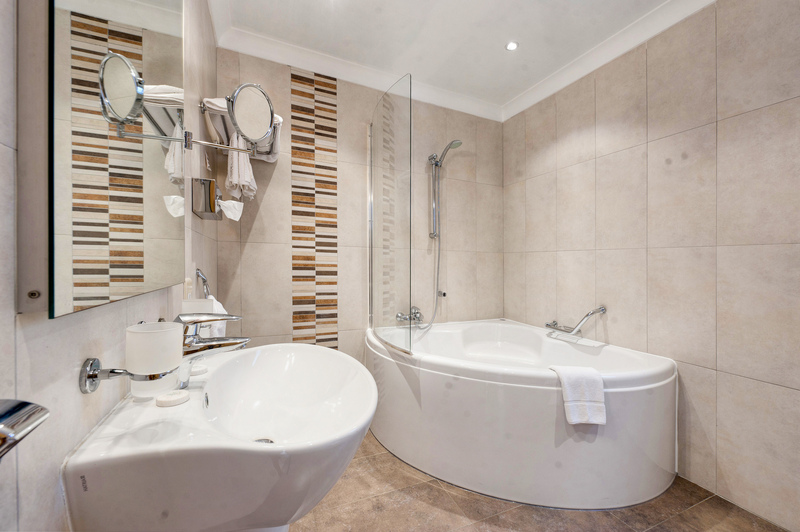 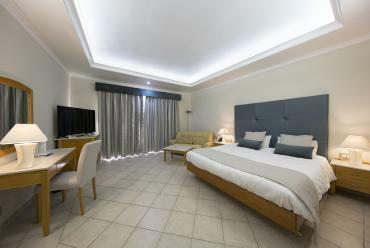 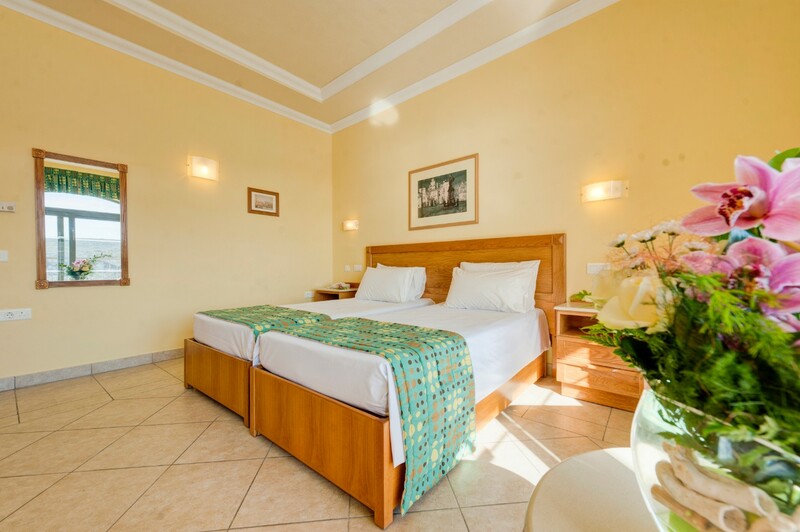 All rooms are equipped with air-conditioning and central heating, ceiling fan, satellite TV, telephone, free wifi, mini fridge, tea and coffee making facilities, safety deposit box, hairdryer and an ensuite bathroom with a shower or bath. 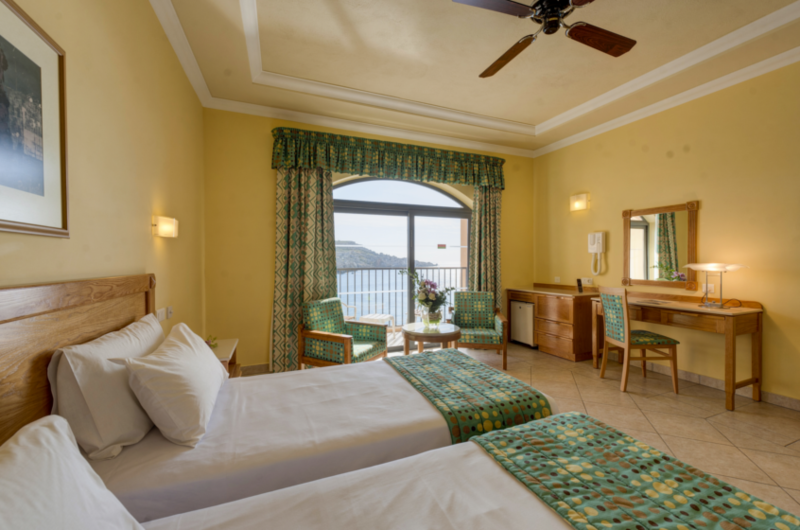 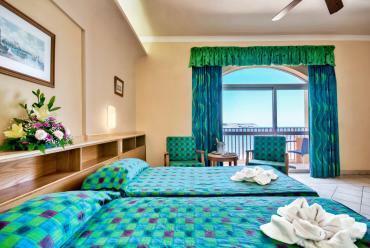 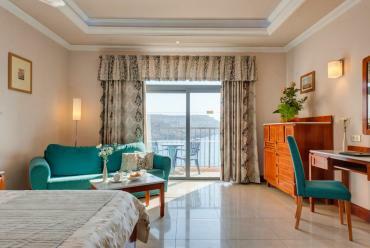 These rooms are particularly popular since they offer beautiful sunsets views and benefit from extended periods of evening sunshine. Maximum Occupancy is 4 persons.